At the climax of Season 9, "Mother" interrupts the course of our journey to reboot Archer's subconscious — and kick off a sci-fi themed season. After two years stuck in the danger zone, Archer finally died. No, the Season 9 finale didn’t shift its story back to the present, where Sterling Archer is still stuck in a coma, but it did provide a surprisingly weighty ending to an otherwise lighthearted season. As the quest for a precious idol reached its end, so did Archer; the hero of “Danger Island” gave his life to save Pam, Lana, and the rest of the crew. Yup, he died — fulfilling an unspoken promise made by creator Adam Reed when he turned Archer’s (im)mortality into an ongoing theme of the series. Viewers even got a brief glimpse of his body being overtaken by flaming lava before the picture cut to black, and a new story began — one we can expect to continue in Season 10. …except for that ending. Even though it’s an impermanent death, Archer still died; when Indiana Jones stole the idol in “Temple of Doom,” he wasn’t squished by the boulder. From the looks of things, the story arcs in “Danger Island” — Archer Airlines, Pam and Archer’s partnership (romantically and otherwise), and yes, Archer’s misguided mission to sleep with Princess Lanaluakalani — all get wrapped up with Archer biting the big one. This was one adventure he didn’t win, even if he was chuckling up until the end. But wait, there’s more! The M/U Seamus wakes up Archer, who’s sleeping alongside Kane, L., Figgis C., Tunt C., Gillette R., and Poovey, P. in sleeping pods that look a lot like these. When Archer pops up, a glowing purple orb floats over to him and he says, “Good morning… mother!” “Shut up,” she/it says back. That’s the end of the episode, though one could also argue Cyril/Fuchs’ armored suit in “Danger Island” was a bit of foreshadowing for Season 10, considering how closely it resembles Ripley’s exo-suit. As long as Reed is feeling invigorated by these new stories, keep ’em coming. Change always invites haters, but in space, no one can hear you scream. 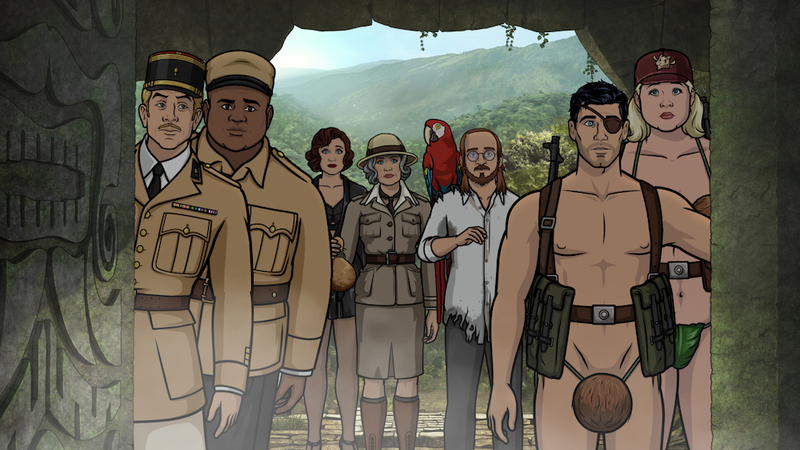 “Archer: Danger Island” (Season 9) is streaming now on FX Now. The animated comedy has been renewed for Season 10.